The renowned tastemakers over at Meister Watches have found a way to squeeze even more style into its popular Aviator timepiece. They’ve enlisted the help of B:Scott, a Los Angeles-based fashion designer known for his fusions of Japanese and German aesthetics. Scott brings over his unique take on the traditional camouflage pattern, which paints the Aviator’s dial face. 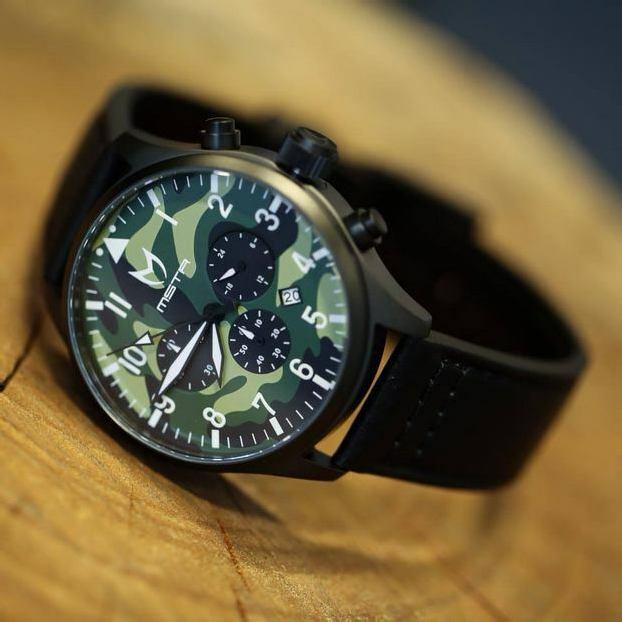 The custom camo is complimented by a black stainless steel case and leather band. Continue reading for more information.